Good Morning Honeybees and Fans! Another week of David Archuleta and friends! Not that I want to start another opinion poll or anything but how are you all doing? Thirty more days! We all know what comes after that! Christmas from the Heart!! I have the image in my head already. Racing to open up the CD, trying to tear away the plastic wrap only someone with much experience and a machete could master. Once accomplished, then we have the dreaded sticky tape at the edge of the case. Where is that 3 year old when you really need them? Then hurriedly trying to open the case without cracking it and inserting it into the car CD player. Oh I forgot, turn on the player!! Now I am sitting in the parking lot of Walmart in 100 degree weather smiling like the cat who just swallowed Tweety Bird!! !……because all of a sudden I hear David singing “Joy to the World”…and it definitely is a joy to finally hear David’s Christmas songs!!! It doesn’t get any better unless you’re sitting in front of him listening which we will be soon in November and December!!! But until then we will have his Christmas Heart!!!! More goodies this week: past Idols, Where are they now?, hopefully a correct Track List, Crush Remix, a chat with Ray, David’s tour manager, cute twitters and the knowledge David may be getting that much needed downtime with family and friends! Hope all of you have a good week! Take care and don’t forget to vote for David in all the polls!!! Thank you! Just one year ago, though, West Michigan was all a-twitter over the Season 7 live show, featuring David Cook, David Archuleta, and the rest of the Top Ten. How have those Idols fared in the last twelve months, since they were wrapping up the live tour and embarking on their own solo careers? Some, like Cook and Archuleta, have forged highly successful solo gigs, releasing, in Cook’s case, a platinum album and in Archuleta’s a near million seller. David Cook: Cook has played 100 concert dates by August; on Sept. 15, local fans can see Cook perform at the Allegany County Fair. David Archuleta – Archie has been on fire since he nabbed No. 2 spot in 2008’s “Idol” finale. 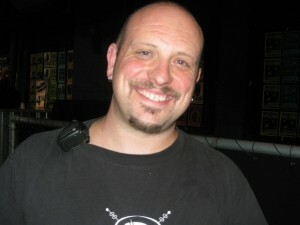 Like Cook, he released his self-titled album in November 2008. It has sold 900,000 copies worldwide, and more than 700,000 in the United States alone. The recipient of three Teen Choice awards, including Breakout Artist, Archuleta also wowed a sold-out crowd at The Intersection on August. 17. His single “Crush” peaked at No. 2 on the U.S. Billboard Hot 200 chart. Syesha Mercado – She is working on an album and taking acting lessons. In June, she announced she would be playing the role of Deena Jones in the upcoming national tour of “Dreamgirls,” which begins in November at the Apollo Theater in NYC. Jason Castro – In April, Castro signed an album deal with Atlantic Records. “Let’s Just Fall in Love Again” is scheduled for release this month. Please read the more definitive listing of each of their careers, and the rest of the FAB 10, including Carly Smithson, Kristy Lee Cook, Michael Johns, Ramiele Malubay and Chikezie. Albums sold in the US 850,000 and internationally closing in on a MILLION. I’ll Be Home For Christmas – featuring Charice Pempengco? From Build-A-Bear again you can download the Build-A-Bear song by donating $1 to Save the Children at Build-A-Bear.com. This $1 donation not only gets you “Let’s Talk About Love,” but also a FREE Tee for your online character at buildabearville.com! Also, David Archuleta fans will LOVE the David Archuleta fan Lil’ Bunny Big Ears. For $25 you get a 14 in. Lil’ Bunny Big Ears, a David Archuleta Tee and a Fuchsia Layered Skirt. This is a limited edition plush, so don’t wait too long to get it! The Buzz Mom has a contest: http://www.themombuzz.com/2009/09/win-david-archuleta-fans-let-talk.html. This is the first time we have heard David Archuleta’s “Crush” remix created by Blast Off Productions and included on David’s album that was released in Japan. David Archuleta is scheduled to perform “America The Beautiful” at the U.S. Open on Sunday 13, 2009. As of this posting the time had not been established. (Possible time 9:00 P.M. EST) It was delayed because of rain. Check your local times for the U.S. Open, he was scheduled to sing prior to the Men’s Finals but because of the delay things may be changed around a bit. I will just keep my TV on all day so I won’t miss a thing! Don’t forget to watch David Archuleta at the ALMA Awards Friday the 18th 2009! DavidArchie – I had a dream about hot springs and a volcano weird – But good morning! DavidArchie – Watching a video with the sisters. Isn’t family time grand? DavidArchie – I never had the courage to listen to Save the Day all the way through since I finished recording it until now. Hope you Japan fans have. David Archie – Sad day! Thai restaurant is closed. Oh well it’s holiday haha. Happy Labor Day! DavidArchie – Man, the yellow hills against the blue sky look amazing. (Doesn’t he know by now we would never walk away from him! HaHA! Sing out of tune, not possible!!!! But we will always lend him our ear for a song!! DavidArchie – Had an egg white omelet with veggies for breakfast this morning good stuff. DavidArchie – Just had lunch with @Bentonpaul. good times! DavidArchie – Just took a much needed nap! Felt great! DavidArchie – Ah movie was great! Fun spending quality time with cool people! So many starts out tonight. DavidArchie – Got to see some friends who are in college now. Crazy! DavidArchie – Been trying to get some writing in. Not like a whole song has come out or anything, but I’m happy with the progress. It feels good. DavidArchie – So my brother just got is learner’s permit. Weird to see him driving. DavidArchie – Headed to New York this morning. DavidArchie – Wow I forgot everyone dresses up in New York! I should get on top of that, but it’s hard dressing up all the time hha I like being comfy.DavidArchie – Good morning on my way to rehearse a bit. DavidArchie – Listening through American The Beautiful since I’m singing it at the US Open this weekend. Reflecting on it’s meaning especially on this day. DavidArchie – Just rehearsing right now! I love this song! Such a privilege getting to sing patriotic songs. 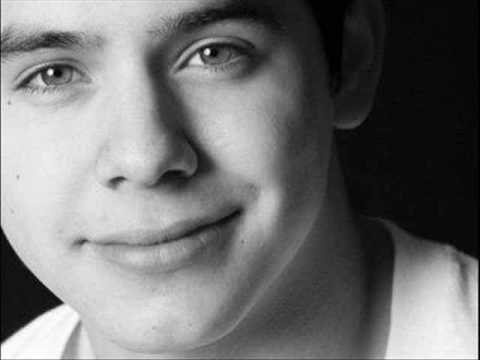 DavidArchie – Oh wow, Crush just came on in the restaurant we’re in. How awkward lol. Archuleta Fanscene – Should they make an David Archuleta doll? They suggested a David Archuleta doll singing “Crush” by squeezing his hand! Sometime ago on Hey Nielson when it was up and running, I suggested a David Archuleta doll, but mine would have a pull cord (remember David doesn’t hold hands) and instead of singing “Crush” mine would have him smile, laugh, giggle on occasion and say Ah Thanks, Awesome and OMG it’s Ashley. Well, we all have our favorites and perhaps we can eventually order our individual preference. Soon I hope, because having a David Archuleta doll spontaneously giggling and laughing when I need it would be one of the best Christmas gifts under the tree. I must write Santa immediately before I forget!!! HaHA! Breaking News from Magic 107.7FM – Ellen Degeneres will be the new judge on the upcoming season of American Idol. No offense to Ellen Degeneres but am I the only one who finds this strange? So many people complained that Paula did not have enough expertise as a judge, so where does Degeneres’ musical background come from? She likes music! That’s nice! So do I! Maybe I should have applied for the job! MasterClassLady has always been a huge fan of David Archuleta. Previous glowing reviews of his talent and ability are well know, so it is no surprise she has posted this comment. I am very excited for David Archuleta’s Christmas album, “Christmas From The Heart”, set to drop on October 13, 2009. I can only imagine how wonderful and inspiring this CD will sound with David’s glorious voice and musical passion at the center of this recording. We must admit, we have never, and we mean NEVER, seen the kind of devotion that David Archuleta fans have anywhere else. Not only do David’s fans love him, they would do ANYTHING for him. They support him at concerts, by purchasing his music and merchandise, by fervently reading his blog posts and Twitter Tweets, and everything in between. Many of the Disney Stars have devoted fans, but nothing measures up to the love we see flowing from David’s fans. It seems Ray would “Jump in front of a speeding bullet”. (I thought I saw an S on his T-Shirt.) When asked about the funniest moment with David, Ray said, when they were in Kuala Lumpur at a venue trying to figure out where to go, David was in a state of awestruck wonder, trying to understand that all of this (the fans, the venue, the big fuss) was for him. (It still amazes me David sometimes still doesn’t understand how popular he really is.) One of the scariest moment with David was in Malaysia when they were trying to leave. “There was not one single person who wasn’t trying to get in front of him, grab him, hold him, block him.” When asked about his relationship with fans, Ray said, “David, more than any artist I’ve ever been with, spends a huge amount of time going through fan gifts and letters just trying to please the fans.” Ray is very protective of David’s few moments of private time; he witnesses the fact that David has virtually no time to himself all day and is pulled in so many different directions. Ray is so impressed with how much David’s fans genuinely care about him, and the feeling is reciprocated. Gift suggestions for future concerts: Donations to David’s favorite charities! Ray said, “He has an incredible number of gifts and feels obligated to go through each one. I’ve never seen anybody with so many scarves in my entire life,” Ray noted. David is “genuinely touched” by all of the gifts but is understandably overwhelmed by them and out of space. Ray didn’t have Christmas tour dates, but he will be on the album tour. He also stated that the unplugged acoustic experience in Louisville was very special for David, and he wanted it to be special for the fans who were there. For a complete detail of the chat please go to FOD. It was very nice of Ray to spend so much time with FOD and reaffirm so many of the wonderful qualities we know David has. Thank you so much for putting this together. Because of your hard work here, I can catch up on all that I may have missed during my busy week. Much appreciated! Thanks so much for all of this info Pam! once again you did an excellent job! thanks again! Great job Pam and I love your comments! I was thinking them and you wrote them.